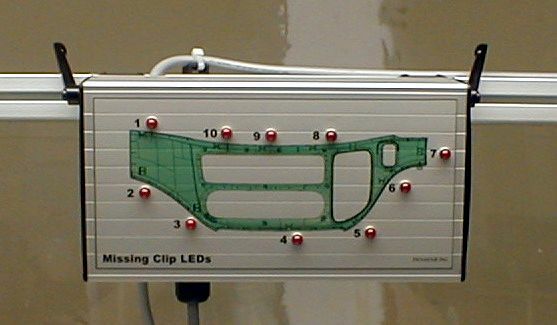 An automotive dash panel is placed in the fixture and ten clips are manually placed in the panel. 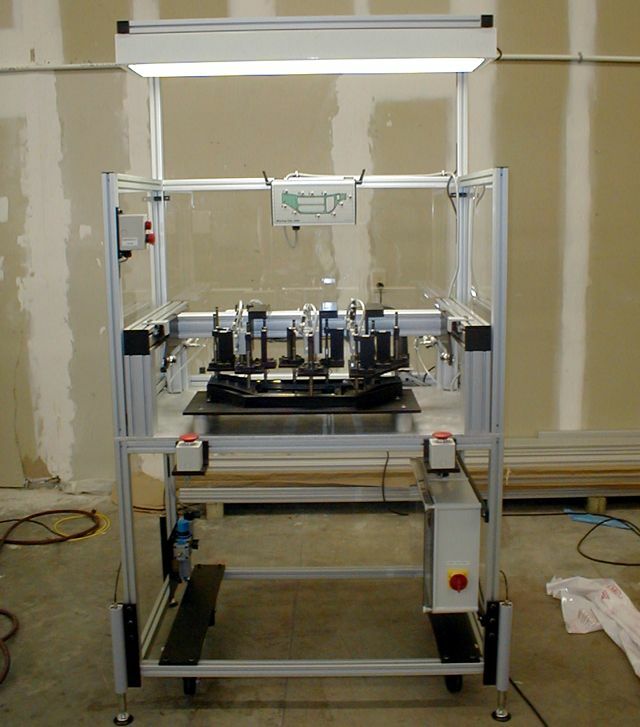 The gantry press head shuttles over the part and presses the clips into place. 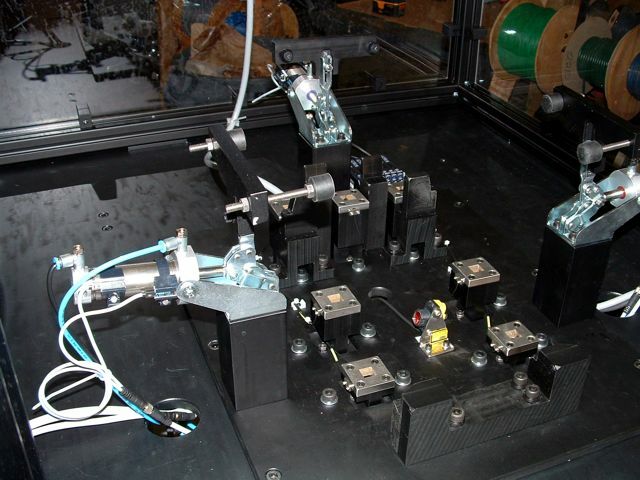 Sensors on each clip insertion tool, in conjunction with this indicator panel, provide clip assembly fault sensing and provide data on the specific clip at fault. 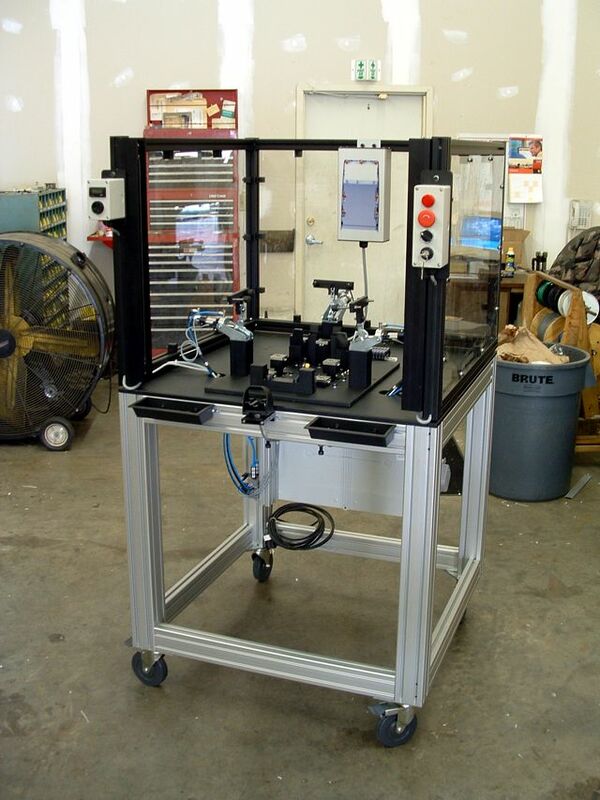 The work cell is a free-standing station with casters and a hydraulic lift system that lifts the cell off the casters for easy work area set up. 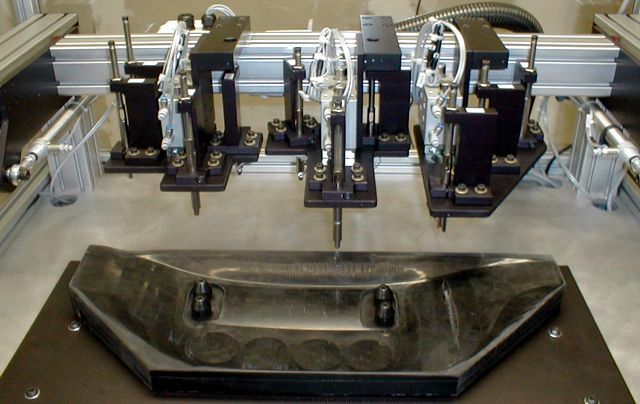 Clips are installed on an automotive vent panel, then clips are placed in the fixture and pressed up onto the part from below. 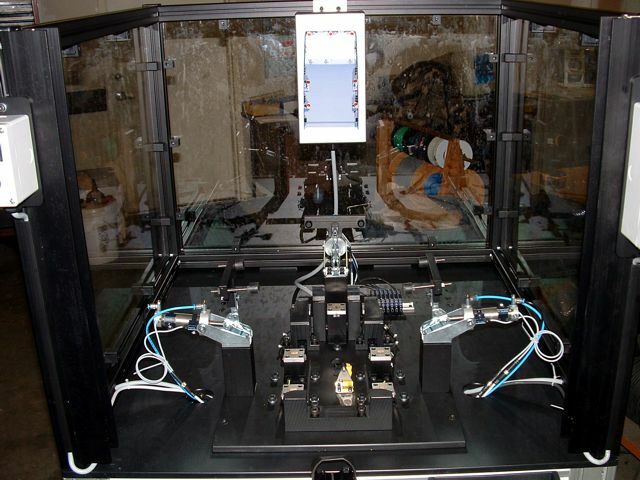 Seven clips are loaded into insertion nests, and sensors confirm that clips are loaded. 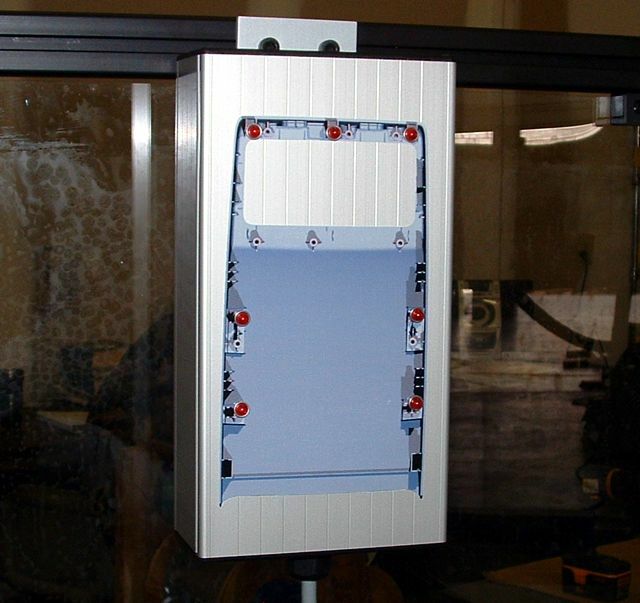 The panel is then placed on top of the fixture. The panel is clamped and the clips are pressed up onto the part. The work cell is a free-standing station with casters for easy work area set up.